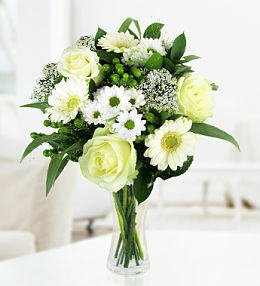 If you are looking for a florist in Denmark, look no further! 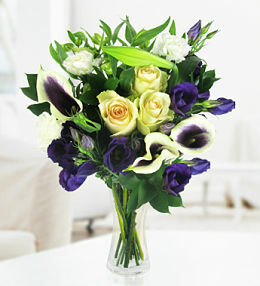 Prestige Flowers is proud to offer fresh flower delivery throughout Denmark so, the next time you need to send flowers to Denmark from the UK, be sure to browse through our collection first. 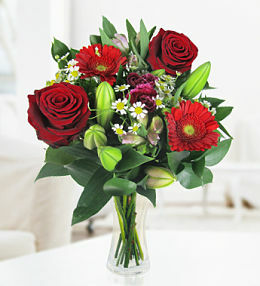 Find your favourite arrangement of roses, gerberas, lilies or whatever you fancy and treat that special someone in Denmark to a delightful surprise. 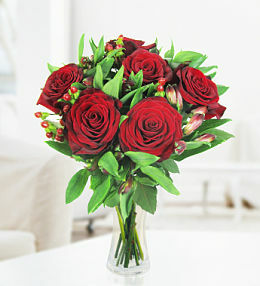 Take your time browsing through our flowers available in Copenhagen, Aarhus as well as a comprehensive list of towns and cities to which your order can be delivered. 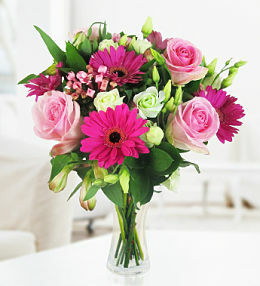 Our main focus is to simplify the process of sending flowers to Denmark while keeping prices affordable and striving for complete customer satisfaction. 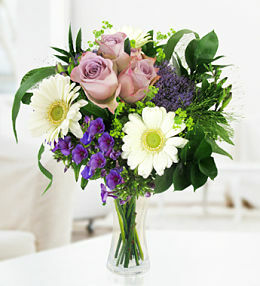 This stunning bouquet featuring sorbet roses, blue iris and white daisies is available for next day delivery in Denmark. 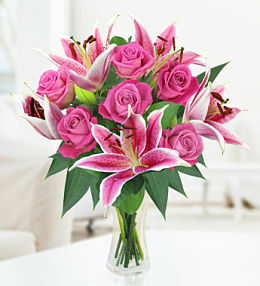 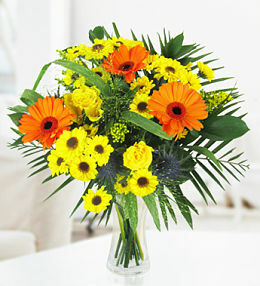 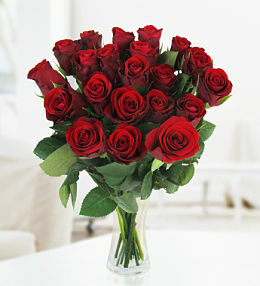 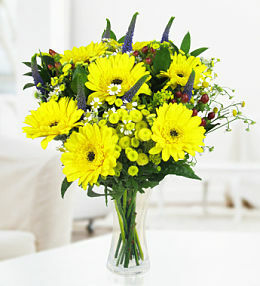 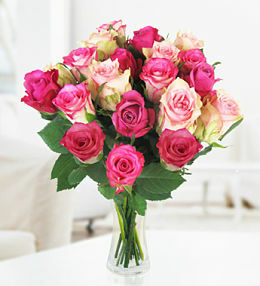 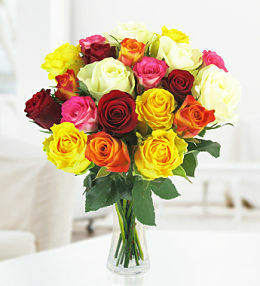 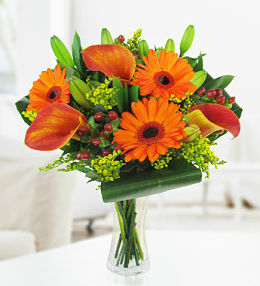 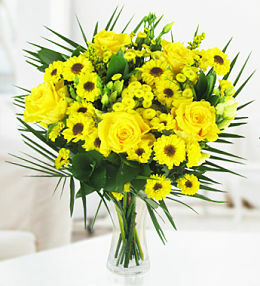 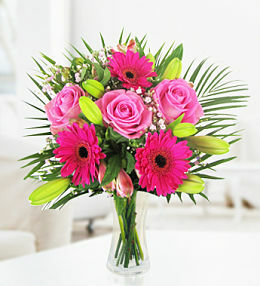 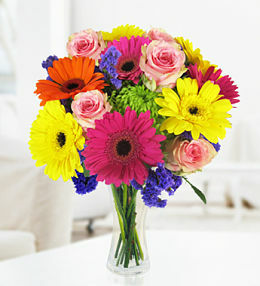 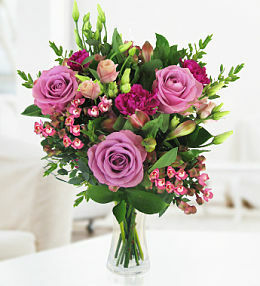 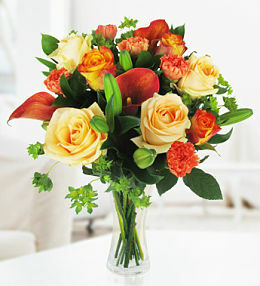 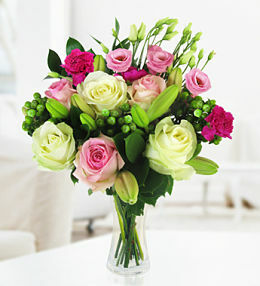 Send flowers to Denmark from our specifically designed range of flower arrangements popular Denmark.